Freddy Budaramani is an experienced Safari Guide - he has been welcoming groups (both large and small) to East Africa since 2004. His knowledge of the birds, the animals and the culture will make your visit more meaningful than you could ever imagine. Preparation and planning are the keys to a successful trip to East Africa. 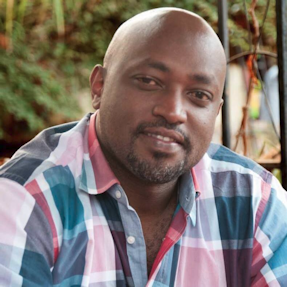 As an experienced safari guide, Freddy offers a variety of travel services in Rwanda, Uganda, Kenya, Tanzania, the Eastern part of the Democratic Republic of Congo and Zambia. He will assist you with all your requirements to and from the destinations of your choice - airline bookings, airport transfers, hotels, reservations, museums, city tours, whatever your needs. 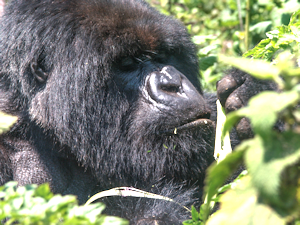 Plus, obtaining the Gorilla Tracking Permits from the respective government agencies. Freddy specializes in organizing your visit to track the Mountain Gorillas ... hw will obtain your Government Permits, and make all the necessary travel and lodging arrangements. He offers Gorilla Tracking tours ranging from 3 to 5 days, and through his company East Africa Eco-Explorer offers longer trips of a week or more. His services also include car hire, historical, cultural and adventure journeys, Chimpanzee and Golden Monkey trekking, unique Photographic Expeditions, Conference and Event planning, Bird watching, Romantic Get-Aways, and Family and Group Adventures. Freddy lives in Kigali Rwanda, and from there guides trips throughout East Africa. He designs tours that emphasize the local culture and the folkloric characteristics of our country. His tours include in-depth sightseeing and many local experiences such as visits to villages, meeting the local people, visiting markets, experiencing events, staying in unique hotels and eating in the most interesting places. And, you will learn about the history of the country. Freddy speaks fluent English and French ... he is highly respected for his professionalism and warm nature, as well as for his skills in helping visitors to enter into the traditional and cultural atmosphere of this fascinating region. "... We came across Freddy and East Africa Explorerer during our resarch for a good travel agency in Rwanda. It was our second journey to one of the most beautiful countries in Africa. The first time we have been to Rwanda we booked the whole trip through one of the big travel agencies here in Germany. Also everything was ok the first time, we looked for another more local agency for our second trip and got in contact with Freddy. Right from the first emails it was clear, that Freddy was the right one to arrange a very high quality trip in a familial atmosphere for us and our four friends. We had not been disapointed. The people, the animals and the landscape are distinctive and unique compared to many other African countries. It was like visiting a friend who showed us the most important and beautiful sides of a wonderful green country. Besides Freddy himself also his staff was very friendly, competent and flexible. The tour in June 2013 was even better than our first visit and we are still thrilled about this great time. Thanks Freddy!" "... We had an unbelievable visit to Rwanda and I recommend Freddy enthusiastically. It was one of the best weeks of my life; everything we did was fantastic." "... Freddy was the highlight of an already amazing trip to Rwanda. His relationships throughout the country granted us rare access to many of Rwanda's most beautiful treasures. His professionalism and knowledge of the area is unparalleled, but all of that pales in comparison to his beautiful personality. He is warm, generous and lovable. He is the perfect companion for exploring Rwanda." "... The immense and beautiful natural environment of Rwanda is deeply moving. The pervasive sense of peace and every (Rwandan's) commitment to progress is truly remarkable. What made my discovery of Rwanda even richer was Freddy's deep knowledge of Rwanda, his extensive list of contacts and his impressive ability to coordinate the logistics and activities ... (he) made my trip to Rwanda very successful." "... (Freddy) created an itinerary that suited my requirements exactly and was quick to respond to emails and calls. His knowledge of East Africa is exceptional from the amazing wildlife of the region to the historical sites, people, food and culture." "... I am the founder of a non-profit organization and am often traveling with donors or potential donors. Nothing short of a near perfect experience will do -- and Freddy delivers every time." "... Freddy is a very personable and 'open' man - you're his guest in Rwanda, and his personal and patriotic pride demand that he make you welcome. His knowledge of the birds and animals is quite extraordinary, and his willingness to talk about and explain anything you can think to ask makes your time with him unforgettable." You can rely on Freddy and his experience for your visit. His company has been growing surely and steadily, creating new opportunities for the traveler and earning a name for itself in the market. His company has been successful in creating a niche for itself in the market. Freddy has a broad knowledge of local and international customs and standards, and an efficient team of motivated and experienced employees who know their individual terrain and work in harmony towards their common goal. And Remember ... he'll show you East Africa as few others can - because East Africa is his home. So come share Africa with us - but be prepared to leave a big piece of your heart behind ...!